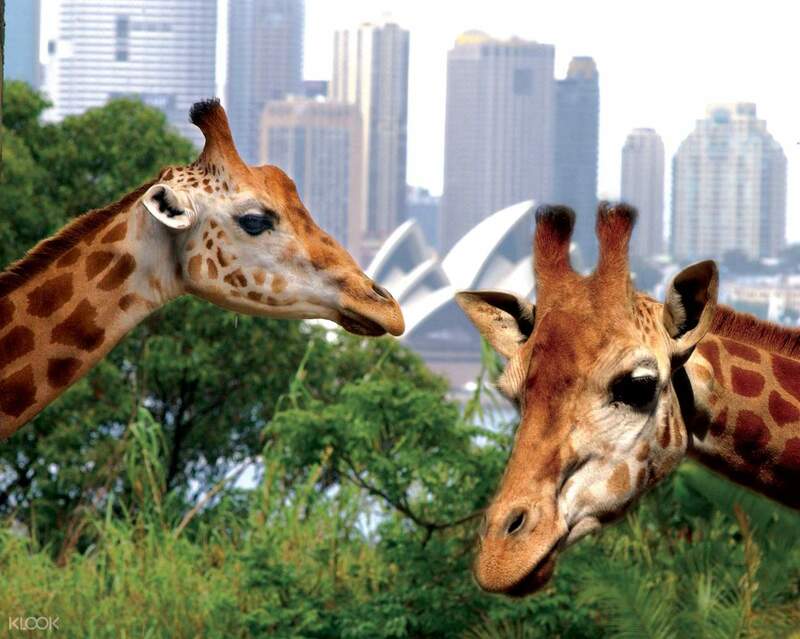 Skip the traffic and travel to Taronga Zoo by rocket ferry from Captain Cook! 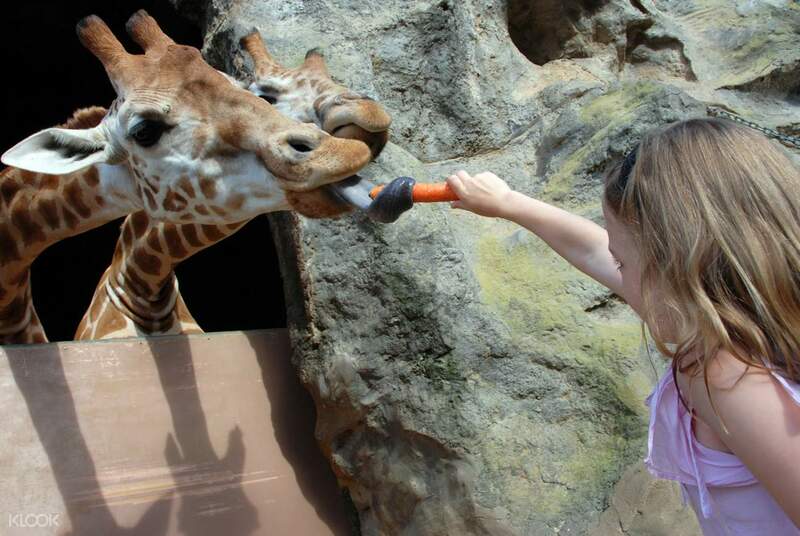 Great for families who are looking to enjoy a day at the world famous zoo without the hassles of commute! very good experienced day. Download Taronga app to plan your whole day there otherwise you will see your day is gone too fast ! 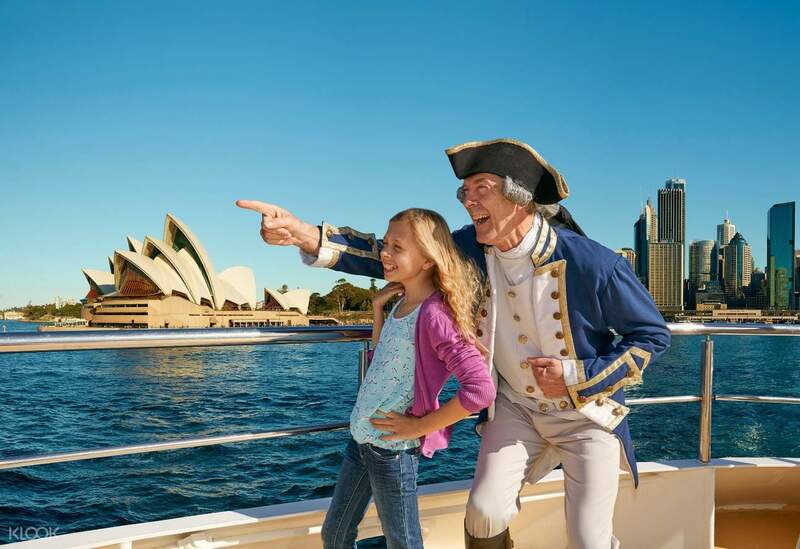 Travel easily to the world famous Taronga Zoo in Sydney by hopping onto a rocket ferry from Captain Cook that departs from any of three locations: Circular Quay, Watsons Bay, or Darling Harbor. This is one of the easiest ways to get to this picturesque zoo of right at the foreshore of the harbor, and home to conservation efforts of some of the most endangered species on the planet. Your round trip ticket between Taronga Zoo and any of the three harbors come with your entry ticket into the Zoo itself, and is bundled along with a ticket to enjoy the Sky Safari Cable Car in the zoo. It's a full day of adventure in store with convenient travel to and from the zoo, making it an excellent value ticket for the whole family. A must see attraction in Sydney. This will enable you to see the Australia’s famous koalas and kangaroos along with the other animals. You can easily locate the booth where you can get the tickets, Wharf 6 in Circular Quay. Departure of the ferry is almost every 15 minutes in interval. You’ll also be able to enjoy the cable car going to the zoo and back to the terminal. A must see attraction in Sydney. This will enable you to see the Australia’s famous koalas and kangaroos along with the other animals. You can easily locate the booth where you can get the tickets, Wharf 6 in Circular Quay. Departure of the ferry is almost every 15 minutes in interval. You’ll also be able to enjoy the cable car going to the zoo and back to the terminal. Convenient took many pictures on the ferry and it’s just a super pretty view! Love the ferry round trip to the zoo. Be aware to go in the morning catch the first ferry trip. As there are only two / three ferry trips to go. Zoo is closed for many parts but still pretty to take pictures here and there. Convenient took many pictures on the ferry and it’s just a super pretty view! Love the ferry round trip to the zoo. Be aware to go in the morning catch the first ferry trip. As there are only two / three ferry trips to go. Zoo is closed for many parts but still pretty to take pictures here and there. the ferry is very clean and on time. you better sit on the right side so you can take a picture of sydney opera house. and the zoo is amaziingg. make sure you check the schedule for every show. i was late so I cant see the Seal show. the ferry is very clean and on time. you better sit on the right side so you can take a picture of sydney opera house. and the zoo is amaziingg. make sure you check the schedule for every show. i was late so I cant see the Seal show. We took Captain Cook Cruise that takes us to Taronga Zoo..It was a good cruise experience..The boat is not crowded...My boys love the zoo..they enjoy the bird show and sea lion. They were able to see the kangaroo, koala and penguins...Klook vouchers are easy to use..we always used this on our trips. We took Captain Cook Cruise that takes us to Taronga Zoo..It was a good cruise experience..The boat is not crowded...My boys love the zoo..they enjoy the bird show and sea lion. They were able to see the kangaroo, koala and penguins...Klook vouchers are easy to use..we always used this on our trips. You get to see classic landmarks from the cruise. Taronga Zoo is amazing! Don't miss the bird show, the backdrop and the show itself is great! Cable car ride went by smoothly. Good deal! You get to see classic landmarks from the cruise. Taronga Zoo is amazing! Don't miss the bird show, the backdrop and the show itself is great! Cable car ride went by smoothly. Good deal! Beautiful adventure started with a relaxing ferry trip along the Sydney harbour. Exciting cable car ride up to the Taronga zoo. Wonderful sunny cool weather exploring the beautiful animals at the zoo. Beautiful adventure started with a relaxing ferry trip along the Sydney harbour. Exciting cable car ride up to the Taronga zoo. Wonderful sunny cool weather exploring the beautiful animals at the zoo. Worth the visit especially if you have a little one. It’s a nice, short ferry ride from the city (at multiple convenient locations), starts with a short cable car ride, and all the animals are represented: koalas, wallabies, elephants, gorillas, bears, giraffes. There’s a fun Tiger Trek that takes you to “Sumatra” but unfortunately the tiger was nowhere to be found when I went. Not too crowded during a weekday so recommend going then. Worth the visit especially if you have a little one. It’s a nice, short ferry ride from the city (at multiple convenient locations), starts with a short cable car ride, and all the animals are represented: koalas, wallabies, elephants, gorillas, bears, giraffes. There’s a fun Tiger Trek that takes you to “Sumatra” but unfortunately the tiger was nowhere to be found when I went. Not too crowded during a weekday so recommend going then. Huge zoo with great views of the Sydney Harbour. Likely to spend and entire day here. The ferry ride there is very scenic. Huge zoo with great views of the Sydney Harbour. Likely to spend and entire day here. The ferry ride there is very scenic. Family of six with 2 juniors and 2 seniors enjoyed ourselves in Taronga Zoo. We found the 9 mins ride by Captain Cook cruise a bit too short and was just enjoying the scenery but already had to get off the cruise ship. The seal show was fun at the zoo but we queued at the wrong side so ended up having seats with no shade under the blazing sun. For children who wants to play at the playground, there is a small playground in the zoo. We were unable to conquer every part of the zoo but the most disappointing was that there was no tiger spotted! The convenient thing about Klook is that it included the transport from Harbour to the zoo as well as the gondola ride to the zoo. However, there was no express queue for Klook. Family of six with 2 juniors and 2 seniors enjoyed ourselves in Taronga Zoo. We found the 9 mins ride by Captain Cook cruise a bit too short and was just enjoying the scenery but already had to get off the cruise ship. The seal show was fun at the zoo but we queued at the wrong side so ended up having seats with no shade under the blazing sun. For children who wants to play at the playground, there is a small playground in the zoo. We were unable to conquer every part of the zoo but the most disappointing was that there was no tiger spotted! The convenient thing about Klook is that it included the transport from Harbour to the zoo as well as the gondola ride to the zoo. However, there was no express queue for Klook.